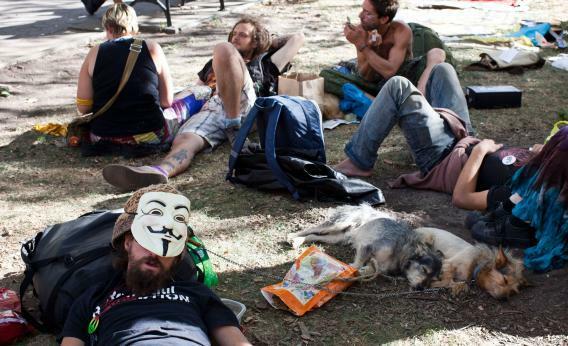 The Occupy movement putters along in New York City. Joe Nocera, who has spent his recent years on earth writing about Wall Street crime, thinks they blew it. Andy Ferguson calls Michael Lewis a sucker. Pay attention, folks – it’s rare to see one of America’s best long-form reporters rib one of the others. I profiled Joe Kennedy III’s campaign a few weeks ago, but Edith Zimmerman does a truly lyrical job on the story. Stephanie Saul brings the NYT onto the “conservative fears of vote fraud” beat. And today’s electoral vote map, just two weeks before the debates, suggests that Barack Obama can still win pretty decisively.